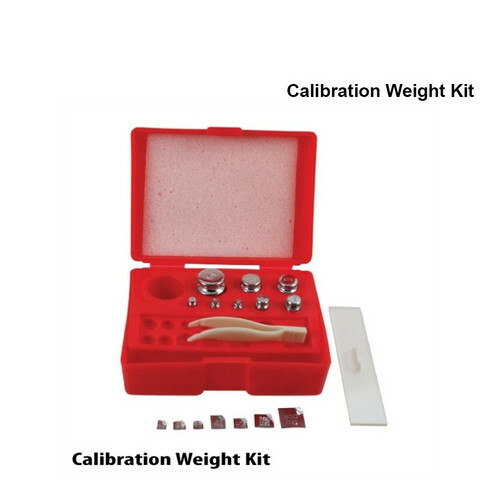 Use this calibration weight kit for the proper care and maintenance of your small to medium sized digital scales! This calibration kit has everything you need to calibrate your scale all in one neat little box. The weight kit includes 1x 50g, 2x 20g, 1x 10g, 1x 5g, 1x 2g, and 1x 1g weights. The milligram weights included are 1x 500mg, 1x 200mg, 1x 100mg, 1x 50mg, 2x 20mg, and 1x 10mg. Tweezers are included to help handle the small weights and any small items you might be weighing. These digital scale calibration weights are OIML Class M2 certified, though the certificate is not supplied.